Pidgeley played for Chelsea, Watford, Millwall, Woking, Carlisle, Bradford, Exeter, Newport, Mansfield, Leatherhead, Forest Green, Hastings and Margate, before joining FarnboroughGoalkeeper Lenny Pidgeley says he is "angry and hurt" after his club announced his retirement - forcing him to reveal a long-term battle with depression.Pidgeley, 34, says the statement issued by Farnborough FC left him no choice but to admit his depression, despite his wish to keep the matter private. The former Chelsea, Watford and Millwall player says he has suffered with mental health issues for a decade. follow-up statement,[/i] the club attempted to clarify their position but Pidgeley said is upset he did not get to decide if he went public with his illness, even revealing that close family members, including his own mother, were unaware of his plans to retire. "My family have been worried, friends too, I've had chances to say this for 10 years but I was never, ever going to speak in public about it. "But it has been forced on me. Now I have to speak. Because this is serious, people have committed suicide and depression is a massive issue." Pidgeley, a former England age grade international, came through the youth ranks at Chelsea, playing for the Blues at a time when Jose Mourinho was their manager and Petr Cech and Carlo Cudicini his competition for a starting berth in the Premier League.However, it was at his second club, Millwall, where Pidgeley first experienced a change in his mental health, something he says came out of the blue. "The first time I got it, at Millwall, I was in a really dark place, it lasted months. I was a walking mess. I was physically shaking, I couldn't sleep, my mind would race," he said. "I need to make clear, when it happened everything in my life was hunky dory, no problems at all. "I was 23, ex-Chelsea, played 50 games for Millwall, did pretty well, everything in my life was fine and I had financial security. "Then one day I started to feel anxiety, I didn't know what was going on, but it grew and grew and grew. "I got injured and I was so relieved I didn't have to go on the pitch. "I broke down to the physio and he pulled me out and they got me into the Priory and the PFA stepped in. I was in counselling for months. I was at rock bottom, I didn't want to live anymore. Every day I thought about it. "The club were fantastic and looked after me. The counselling helped me deal with it, or start to. I learned to look for signs, I got medicated. I try to manage my life to manage the illness. "But sometimes I get these episodes and they don't go away." 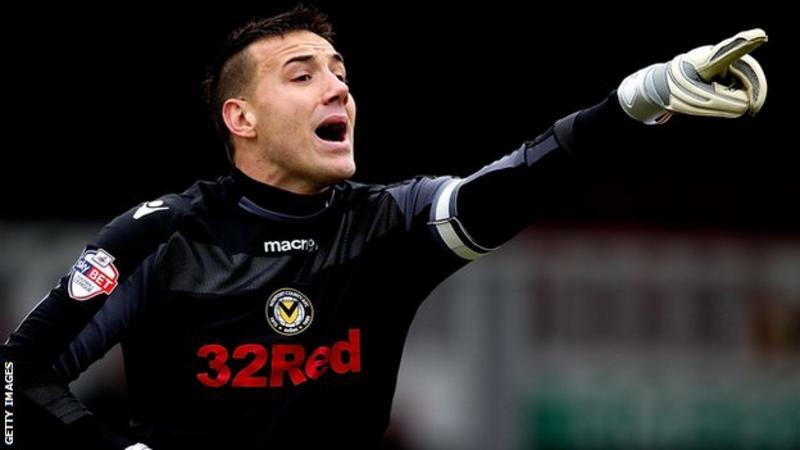 While his depressive episode at Millwall was the first and biggest for Pidgeley, he has faced fresh issues at several other clubs in the past decade, notably Newport County and Margate. "It is different, not every time I get depression I need to stop playing football. It depends. This time was one of the times where I couldn't cope," he explained. "It has happened to me at Millwall, Newport, Margate and now. At Newport it happened in the summer and I couldn't leave my house for two months, I couldn't eat or sleep, I didn't think I could ever face football again. "I met the manager at the time, Justin Edinburgh, and I broke down in tears. I was in such a bad place, Justin was unbelievable with me. I will forever be grateful to him. He just didn't know what I was going through. "Everyone at Newport and Millwall looked after me and respected my wishes to keep it a private matter. "At Margate I had to take six weeks off and so they put me on compassionate leave. Then I came back and finished the season off. "I thought about quitting then, but then Farnborough came in for me. "But recently it has bubbled up again and I think quitting the game is the best thing for my long-term health." Pidgeley says he has been lifted by the public response to Farnborough's statement. "My head feels a bit clearer today than it has been," he said. "The messages that have come through have overwhelmed me and I've had calls from clubs, players, asking if I want to come training. "The response on social media makes me see that people are sympathetic. "The support has been amazing; maybe I should have spoken about it 10 years ago. It's been bottled up and my hand got forced but the support has really been touching, amazing. "And while Pidgeley has closed the door on playing, he is hopeful he may one day return to the sport. "I would maybe like to get into goalkeeping coaching, I had a taste of that at Forest Green Rovers, we got the play-off final with me doing that role. "It was something I was looking to get into, but it didn't materialise so I have been playing semi-pro. "But football is something that I love and I will miss it."